A simple explanation for BPO services could be ‘The transfer of core and non-core business processes to an outside provider’. But another way to explain it, would be ‘working together with your BPO provider to solve time consuming, and sometimes complex business processes’. There are lots of reasons for businesses to outsource their processes, with ‘Improvement in cost level or reduction’ being cited as the most popular, according to the Outsourcing In Europe survey by EY1. 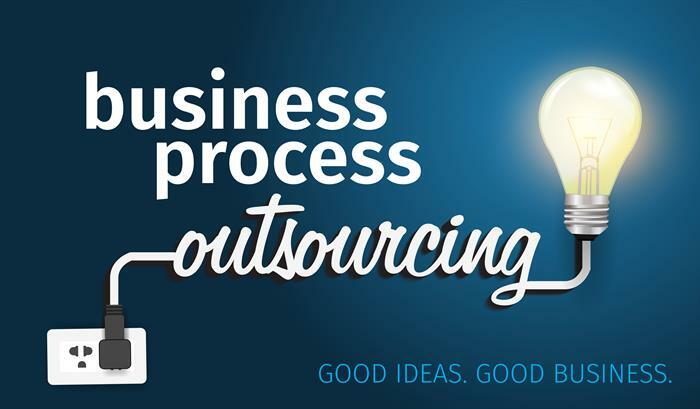 While you might be clear about your reasons for outsourcing, and the results you hope to achieve, it is important that you take the time to carefully consider which are the right processes to outsource. A good BPO provider won’t be satisfied with just performing your existing processes better, they should work closely with you to improve and streamline your processes and understand the effect this has on the business as a whole. Improving efficiency and reducing costs – Outsourcing your business processes enables you to utilise and reallocate your limited resources more effectively. Adopting new technology and processes increases productivity. Your business also benefits from having a new highly skilled workforce at its disposal, without the cost and inconvenience of recruiting and training new staff. Driving growth – Utilising your BPO provider’s experience and expert knowledge can drive growth within your business by enabling you to focus your resources on core business processes such as developing new products and services, exploring new revenue streams, diversifying into new markets, kick starting new projects, increasing sales, profits and customer satisfaction. Accelerating speed to market – With new technology, expertise and skills at your disposal, you can reduce the time it takes to develop new, high quality products and services, and the time it takes them to reach the market place. Accelerating your speed to market can help you stay ahead of the competition and is another way to deliver added value to your customers. Cutting edge technology – Investing in new technology can be costly and risky, even without the ongoing maintenance, upgrades and training costs to consider. In a rapidly changing technology market, it can be difficult to keep up with the latest innovations. Outsourcing to a BPO provider that offers the latest technology, resources and fully trained staff, allows you to reap the benefits without the risk. It could help you to create a competitive advantage, offer something new and exciting to your customers, and ultimately grow your market share. Improved customer service – It is always a priority to improve the products and services that you offer your customers – they are the reason you are in business. BPO allows you to drive customer loyalty by offering more value. With increased efficiency comes the ability to deliver new products and services to your customers. In addition, staff have more time to deal with your customer requests and regularly changing requirements. Engaged employees – Outsourcing the mundane, repetitive tasks allows employees to focus on projects where they can fully exploit their skills and the things they are good at. When they are not constrained by mountains of paperwork, employees are happier, more engaged and job satisfaction is increased. Risk & compliance – Dedicating sufficient resources to manage risk and compliance is essential in most industries but it can be challenging to achieve. With frequent changes in legislation, businesses are under increasing pressure to ensure risk and compliance regulations are met. BPO providers can offer expert advice, resources and support to assist this process. Flexible and scalable service – BPO services are flexible and scalable which means they can easily be adjusted to suit changes within your business. For example, if your business grew substantially in a short space of time, it’s your BPO providers responsibility to adapt their technology, people and processes to meet your new requirements. Once you have engaged your BPO provider, they should work closely with you to define your individual objectives and targets – and how you want to measure your success against them. But it doesn’t end there. In a fast paced business environment, things are always changing and evolving, so it’s important that your BPO provider offers an ongoing assessment of your outsourced processes. It’s their job to continually analyse the process and make improvements and amendments when necessary, ensuring it remains optimised and that targets continue to be met, or exceeded. If you are prepared to undertake some research to identify the right processes to outsource, and find the right BPO provider to work in partnership with, a successful BPO relationship could enable you to achieve the right mix of skills, technology, knowledge, experience, flexibility and scalability to proactively address your business challenges, reduce costs and improve performance across the whole business.